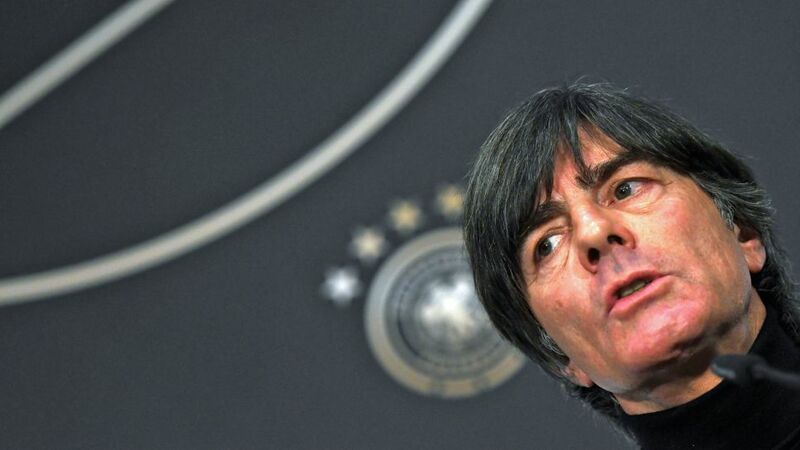 Germany coach Joachim Löw and his technical staff have signed contract extensions that will take them through to the 2022 FIFA World Cup in Qatar. Löw, who named his provisional squad for the 2018 tournament in Russia on Tuesday, has inked a new deal with the German Football Association (DFB) as has his assistant, Thomas Schneider, and goalkeeping coach Andreas Köpke. The deals of Olivier Bierhoff, the former Germany striker turned the DFB’s National Teams and Football Development Director, and Marcus Sorg, who works with the national teams and youth development, have been prolonged to 2024. "To work together with Andy Köpke, Thomas Schneider, Marcus Sorg, Oliver Bierhoff and our whole team behind the team of Germany’s best players, and to aim for the highest goals in football, spurs me on and makes me incredibly happy," Löw said in a statement. "In these last few days, I have felt great motivation ahead of the World Cup in Russia and some intense weeks with the team. The tournament has my full focus."